A former manager at the exclusive K Club claims in a High Court action he was threatened by another man at Punchestown Races that Dr Michael Smurfit had "not forgotten" statements he made about the businessman and call girls. Peter Curran claims the alleged motive behind the encounter with Gerry Byrne, a K Club employee, in 2011 was a reference to another case he had previously settled relating to his K Club employment in which he referred in a document to call girls being given free use of the hotel facilities at the resort. Mr Curran told the court in May 2011 he was at the dryer in the men's toilets at the racetrack when Mr Byrne, a resort superintendent at the K Club, blocked his way. "He said I have a message from Dr Smurfit. He said Dr Smurfit had not forgotten the statement I made about him and call girls and that he knows where to find you and this is not over." Mr Byrne said Dr Smurfit did not care about any agreement, Mr Curran said. Mr Curran, from Cahirsiveen, Co Kerry, has sued Gerry Byrne along with the K Club Ltd, Straffan, Co Kildare, and Dr Smurfit, who has an address in Monaco. The defendants deny his claims. The court heard Mr Curran had in 2008 settled proceedings relating to his employment over his departure from the K Club 10 years previously. The reference to call girls arose from "replies to particulars" - part of the documentary preparation process in legal actions - relating to the "A case" which was settled in 2008. Opening Mr Curran's case on yesterday, counsel Kenneth Fogarty said the allegation was "hanging in the air". 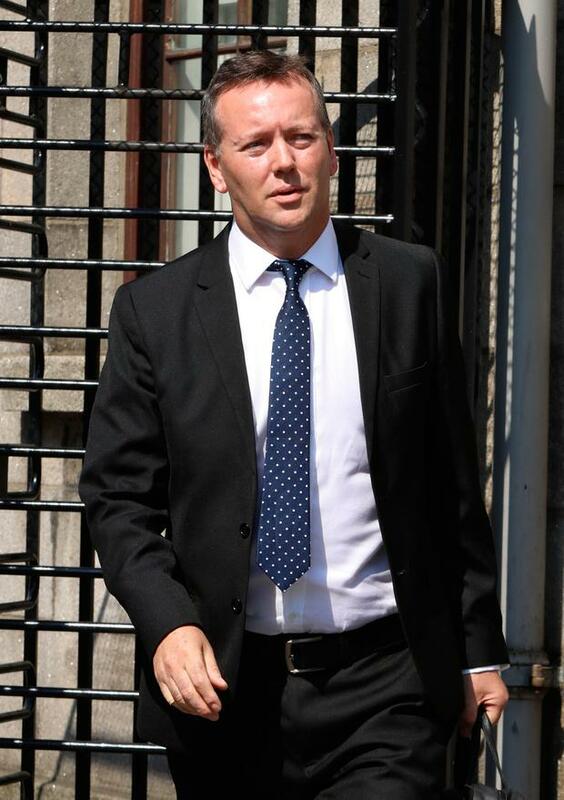 Counsel said Mr Curran was a vulnerable person, who had previously suffered from depression and posttraumatic stress over the circumstances in which he left his employment at the K Club in 1998. But, counsel said: "They didn't care about Peter Curran but they do care about call girls." Part of the evidence would be that Michael Smurfit was "aware that it was taking place and he was not unaccustomed to the company of call girls on occasions", counsel said. Mr Curran was catering manager at the K Club between September 1997 and October 1998 when he claims he was forced to leave. He brought an unfair dismissal case which was settled in 1999. He also brought High Court proceedings claiming alleged breach to his constitutional right to his good name and to earn a livelihood. During the run-up to that case, in replies to written questions and particulars relating to alleged financial irregularities that he allegedly uncovered at the K Club, Mr Curran made reference to call girls who allegedly were sometimes sourced abroad and given free use of the hotel facilities. It is also claimed he referred in answers to particulars that the owners of apartments unknowingly got rental income from the K Club as a result of call girls using the apartments. Those proceedings were settled and it is claimed it was an implied term of the agreement Mr Curran would not be intimidated in any manner. Mr Curran has claimed on May 7, 2011, his way was blocked in the toilets at Punchestown and Mr Byrne allegedly made the "this is not over" comments. All defendants deny the claims. Dr Smurfit and the K Club deny the incident took place but say, if it did, Mr Byrne did not act on their behalf or on their instructions. Following an application by counsel for Dr Smurfit, which was adopted by the other defendants, Mr Justice Anthony Barr ruled he did not intend to allow the trial to "go completely off the rails" and engage in investigation of allegations made by Mr Curran against his former employers.